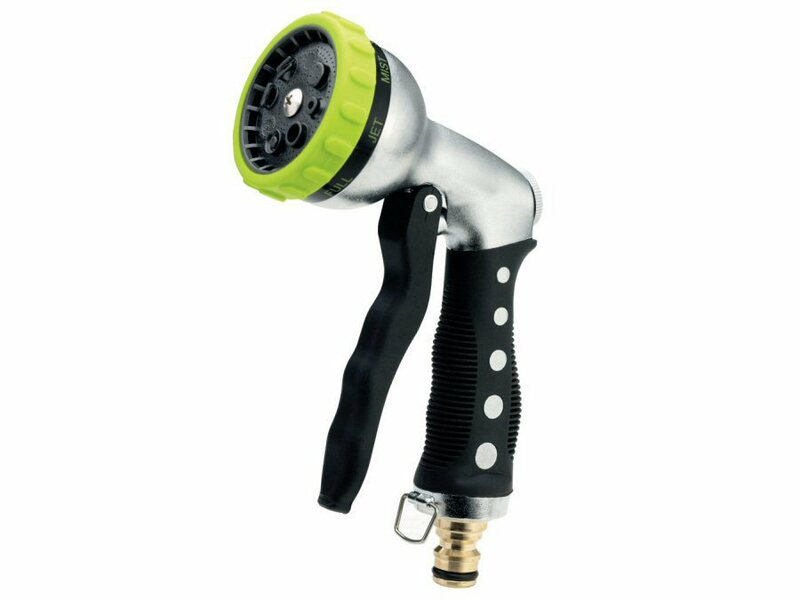 Professional quality metal spray gun with 6 spray patterns. Dial selector allows selection of ‘shower’, ‘jet’, ‘mist’, ‘soaker’, ‘cone’, ‘flat’ spray types. Features flow adjustment screw and trigger lock. Brass quick connector fitting.